It is no secret that heavy alcohol use can have detrimental effects on a person’s mind and/or body - having a serious impact on one’s life. Heavy consumption can lead to addiction, causing people’s lives to spin out of control; not just impacting loved one’s but also society. New research indicates that heavy alcohol use costs the American economy billions of dollars every year, PsychCentral reports. The findings come from the Centers for Disease Control and Prevention (CDC). CDC researchers found that excessive drinking cost the U.S. $249 billion in 2010 ($2.05 per drink), according to the article. When you compare that figure to what heavy alcohol use cost the economy in 2006 ($223.5 billion or $1.90 per drink), you can see a significant increase. 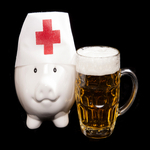 The data indicates that binge drinking was responsible for 77 percent of the costs. In 2010, states each paid a median of $3.5 billion in alcohol-related costs, the article reports. Some states paid a lot more than others, with North Dakota paying $488 million to California paying $35 billion. “The increase in the costs of excessive drinking from 2006 to 2010 is concerning, particularly given the severe economic recession that occurred during these years,” said Robert Brewer, M.D., M.S.P.H., head of CDC’s Alcohol Program and one of the study’s authors.